A healthier take on classic comfort food. Eating healthy is always a noble effort to undertake, but we all know it’s not as easy as it looks. 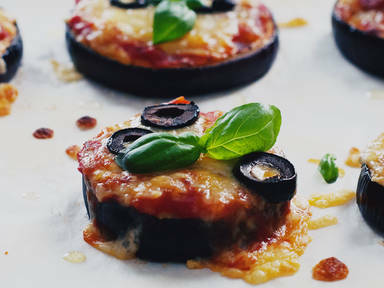 However, you can take a tiny step in the right direction by trading your standard wheat crust pizza for these eggplant pizzas. They’re also a great way to convince kids of the manifold wonders of vegetables.